Can you believe February is here? I can't either. I received a beautiful valentine's day bundle from Springs Creative fabrics a few weeks back so it was time to put it to good use. The best way to start the month was sewing for my little sweetheart, using Made for Mermaids Annie apron, a free pattern made for their 12 days of Christmas but great for any time of the year really. 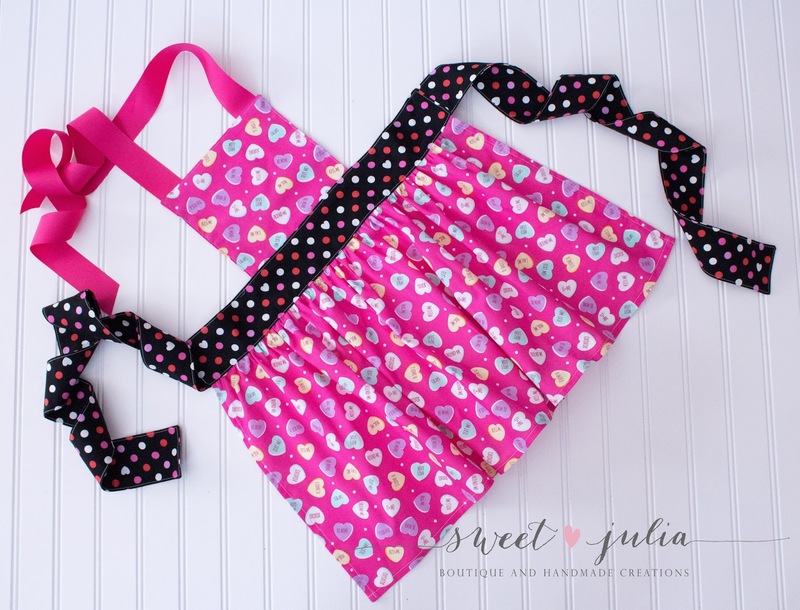 If you want to make this sweet apron, HERE is the link. 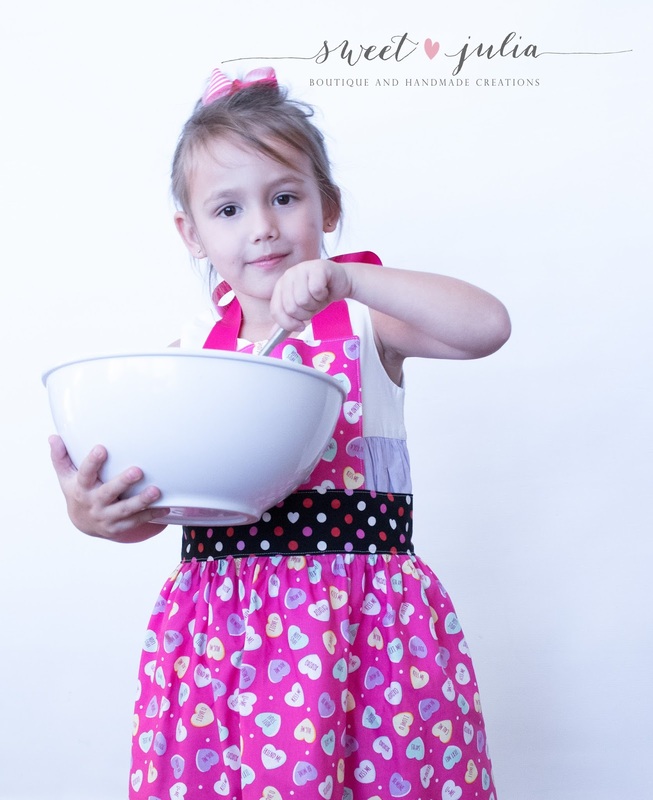 My little one loves to help in the kitchen, so now she won't get those pretty dresses dirty, and she will be cooking in style for sure!